The verdict: It had been a little while since we last tasted this classic, partially barrel-aged saison from Goose Island, but it hasn’t changed much from how we remembered it. Goose cites the blend as “80% Belgian ale, 20% Belgian ale in wine barrels with citrus peel,” which gives the final beer some very pleasant and delicate hints of oak without it tasting exclusively like a wine barrel sour. There’s some mild tartness, an undercurrent of wild yeast-like funk and green apple, a bit of tangerine/mimosa-esque citrus. Multiple tasters also cited “melon” of varying degrees in their notes. 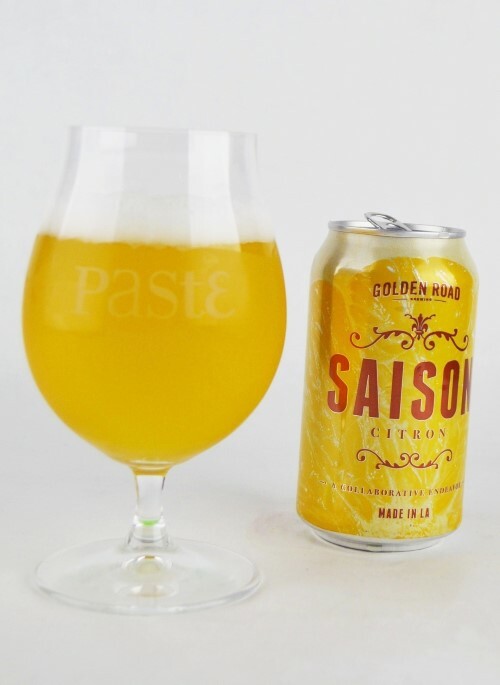 To quote one: “Soft, melon-like flavor, particularly honeydew.” This beer happened to be on the table on the same day as the previously mentioned Perennial Artisan Ales Foudre Saison, and the similarities between the two were remarked upon several times. Which is to say, we enjoyed them both for very similar reasons. The verdict: Before there was Boulevard Tank 7, there was Hennepin laying the foundations for the popularization of American-made saison. 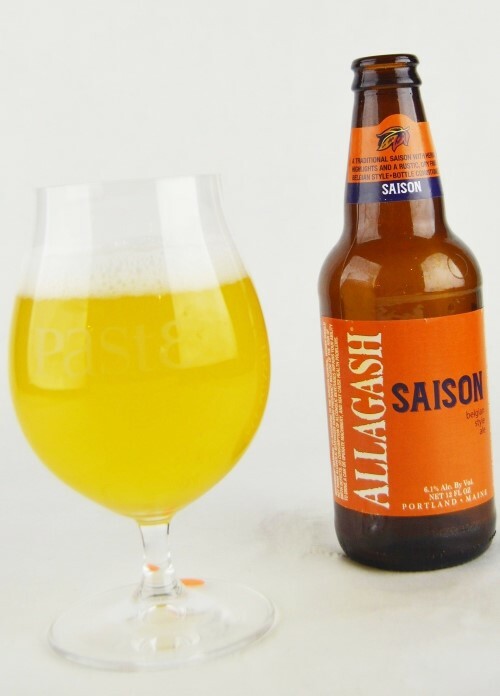 For a number of years, this was probably the beer that anyone (at least on the East Coast) would likely think of if you said “saison,” and it still holds up today. For one thing, the mouthfeel and texture of this beer are really stand-out features—so easy to overlook, but in a blind tasting, next to a bunch of other examples of the same style, those textural differences stand out even more. 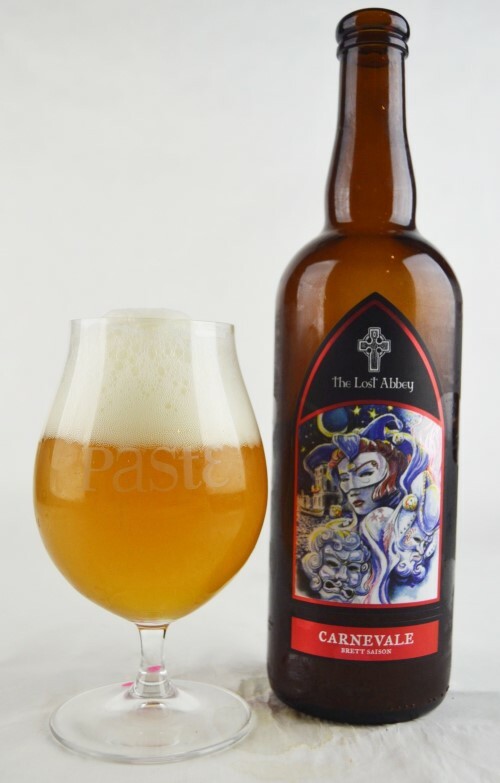 It’s creamy, smooth and dense-feeling, with big Belgian aromatics of clove and pepper/coriander-like spice. “Big, round, solid and spicy” reads one score sheet. 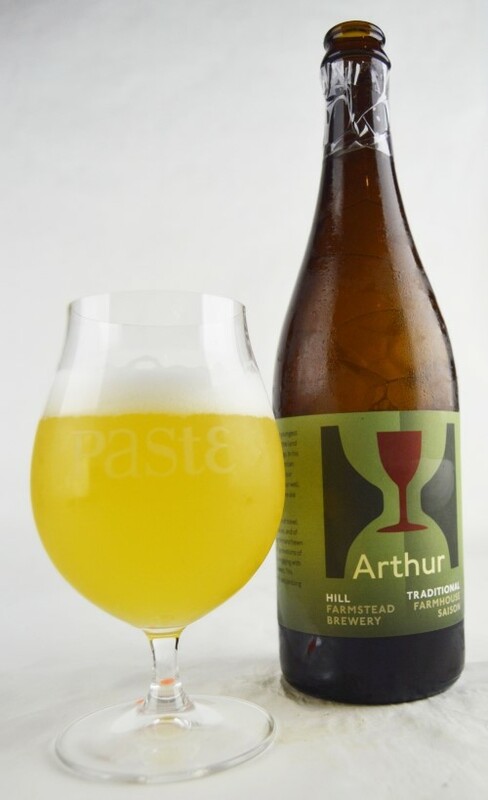 “Lovely mouthfeel and yeasty, spicy profile, great classic saison flavor” says another. That about says it all. Unlike some of the other beers to come through this particular tasting, this isn’t one you’d misidentify as any style other than saison. The verdict: It’s interesting to note that of the beers that did well, a number of them all incorporated citrus peels—perhaps we’re just suckers for that particular addition in this style, but Golden Road pulls it off here very nicely. 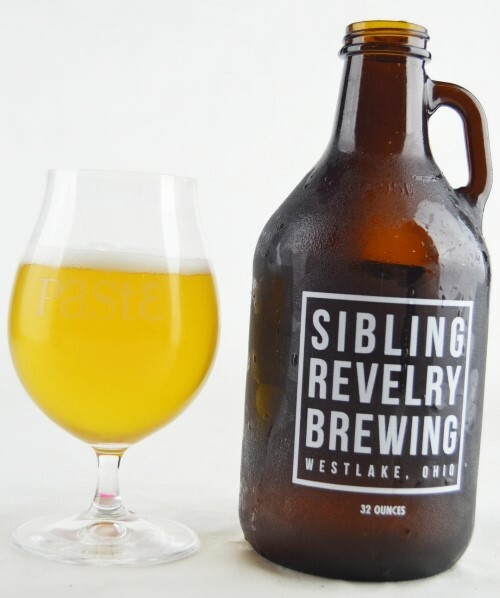 Meyer lemon comes through in a way that is genuine rather than artificial, and although the beer isn’t “tart” as it were, the lemon flavors evoke that kind of bright, slightly acidic profile. There also seem to be some hops on the nose of this beer—green, grassy and a touch floral, which works well with the citrus. “Light, perfumey, delicate aroma” reads one score sheet. On some level, it feels a bit like an American pale wheat beer with a bit more verve, but there’s nothing wrong with that. 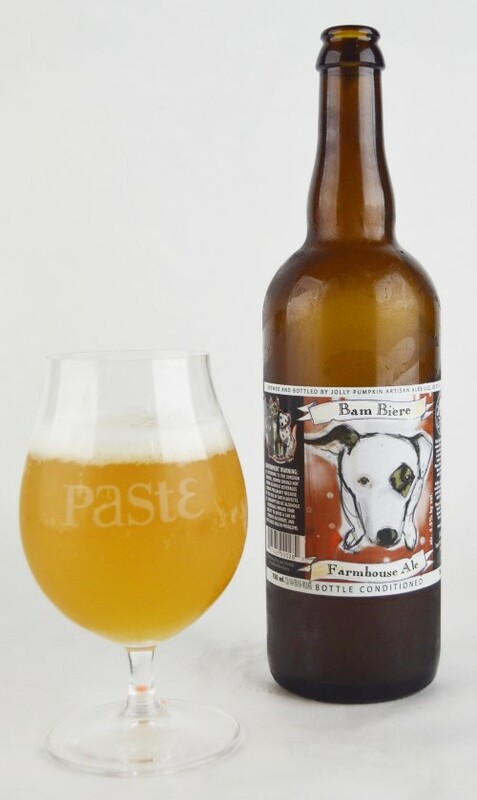 A little bit of residual, honey-like sweetness helps it a fun, easygoing beer go down smooth. 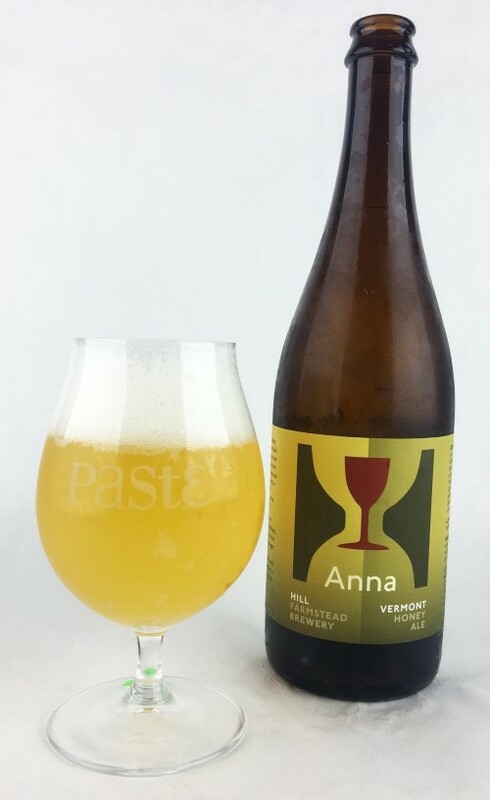 The verdict: This is the rare case in this list where ABV really does come into play, because Astrid is a powerful, intensely flavorful barrel-aged saison. First fermented in stainless with both saison yeast and brettanomyces, it’s then thrown into aquavit spirits barrels for an additional eight months, which is to say this stuff is not fooling around. The barrels come through strongly, as there’s plenty of oak, although if you gave this to 100 people on the street, none of them would think to say “aquavit.” The palette of flavors is unusual and beguiling—funky barnyard characteristics, spice, booze and citrus, but there’s almost a salinity to this beer as well that might make you think of an imperialized gose. Residual sweetness is unsurprisingly on the higher side, as everything about Astrid points to a higher volume of flavor. It’s a little bombastic, but tasters couldn’t say no. The verdict: Everything about Denver’s TRVE is METAL, so naturally their sour project is called THE ACID TEMPLE, and this is the first beer it produced in 2015. The base beer is a nod toward simplicity and tradition, but that beer then goes into large oak puncheons with multiple yeast strains to become something entirely different. 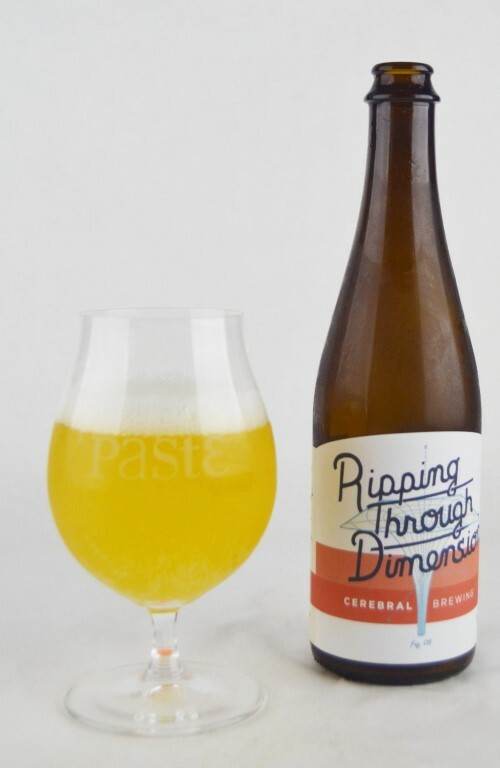 It emerges as a tart, refreshing farmhouse beer that is bright and citrus-forward, with big, sweet-and-sour flavors of lemon and grapefruit leading the way. 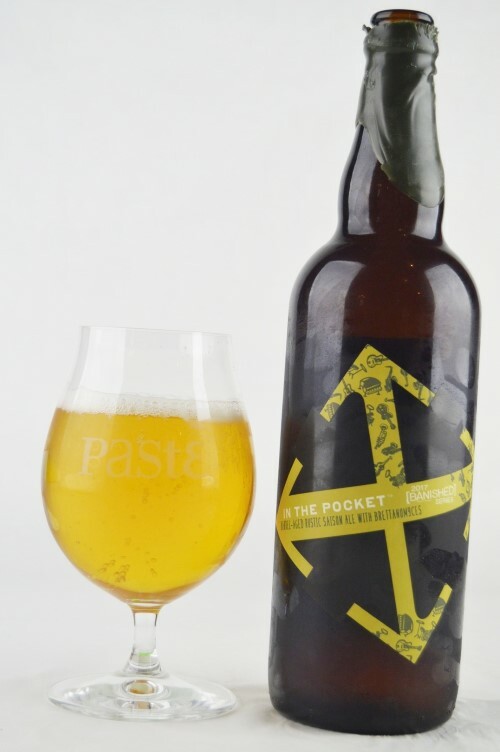 “Sort of a tart lemon meringue pie, with subtle hopping,” reads one of the tasting sheets. A pleasant, floral hoppiness is the finishing touch on this sophisticated but poolside-appropriate beer. Big flavors, small package, what’s not to like? The verdict: Birmingham’s Good People has been flying the flag for Alabama craft beer for years now, consistently performing in the top tier of various Paste blind tastings. Most recent is the development of their “funk farm” sour program, which earlier this year produced a lovely red wine barrel sour with blackberries and raspberries. Here, we have a lighter take, what tastes like a mixed culture beer that features a more gentle, approachable tartness. The brettanomyces funk is nicely smoothed or rounded out by the red wine barrels employed here—one of only a couple of saisons in this tasting to feature red wine barrels rather than white, in fact. You get hints of red berries, along with plenty of citrus and a whiff of hefe-like banana esters. Good People continues to produce beers here that stand up to some of the best in the world in a blind tasting setting. The verdict: Avery knows that stone fruits are often the key to our hearts, and that certainly proved the case with Perzik. Interestingly, this one isn’t really overtly tart or sour—it’s more of a classical saison to which summer peaches have simply been added. The stone fruit note comes through wonderfully, and was picked up by several tasters who correctly identified it as peach or apricot, along with a bit of vanilla-like sweetness—it’s almost like some really great peach yogurt, if that makes sense. Some moderate residual sweetness might be a bit much for some drinkers—probably the kind of thing that might make some call this beer too one dimensional—but given the authentic-tasting stone fruit profile, it seems earned to us. If you love peaches as much as we do, this is one to seek out. The verdict: It’s funny to think that Prairie’s two fields of expertise are seemingly so disparate—big, barrel-aged stouts, coupled with saisons/wild ales—but it’s truly helped them carve out a niche that is all their own. 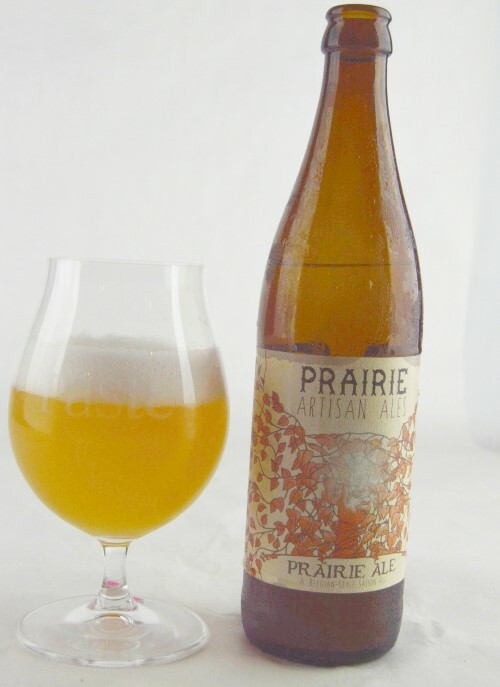 Prairie Ale is their classic, flagship saison, a beer that we’ve praised in the past and intend to keep right on praising, because it’s still excellent. A trio of ale, wine and wild yeasts are doing the heavy lifting here, creating a perfumed nose that is both familiar and exotic at the same time. There’s a bit of banana ester present, as well as notable lemongrass and black peppery spice, but the drinker is perhaps more likely to be captivated by some of the more tropical fruit notes on display—we got pineapple and something a bit like fresh papaya, which was a very pleasant surprise. All in all, it feels like a beer that would yield a different experience each time you tasted it, depending on a variety of factors such as freshness or even glassware. Pair it with some good cheese and go wild. The verdict: We’ve had a chance to try many of the offerings from Orpheus, given that they exist in Paste’s Atlanta vicinity, but Even the Furies Wept is truly on another level from their previous soured offerings. You can taste the time that went into this beer—something like 18 months in a variety of barrels before blending, if we remember right. The majority is a saison aged in sauternes barrels—a French style of dessert wine, if you’re not familiar with the term. 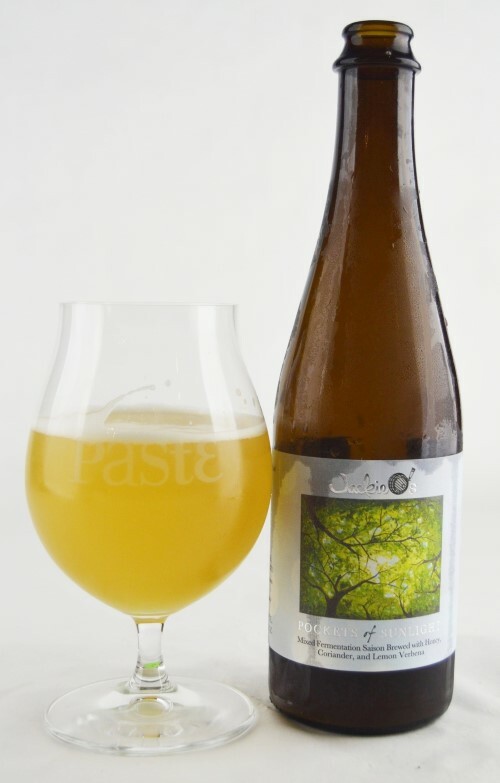 The profile was similar to another beer on the table the same day, Crux’s In the Pocket—big oak and citrus, but softer and a bit less harsh in terms of its tartness, which would probably make it the more universally enjoyable of the two. 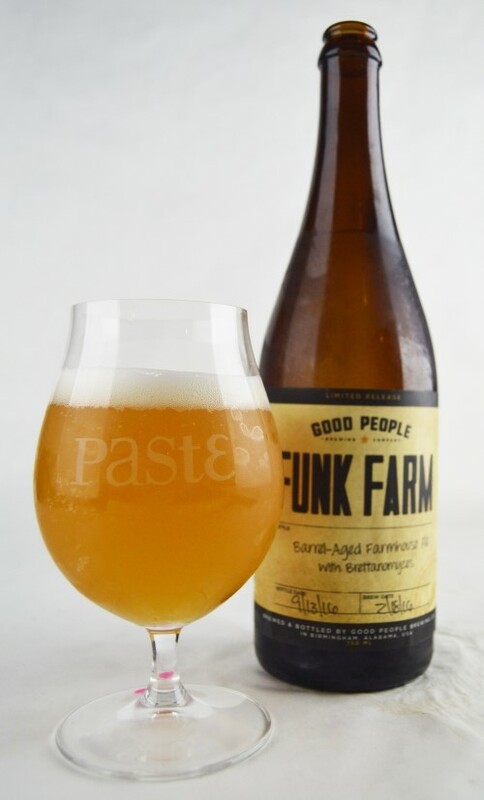 The funk is abiding and complex, as the brewery used a blend of beers made with yeasts from various classic Belgian/wild ale breweries to make something that more or less defies description. It’s the kind of beer that can only be made with time, and a lot of it. The verdict: Breakside is another one of those breweries we’ve come to expect to do well in practically any style, regardless of what it may be—they’ve given us high ranking beers in styles as disparate as pilsner, IPA, Belgian quad and now barrel-aged saison. 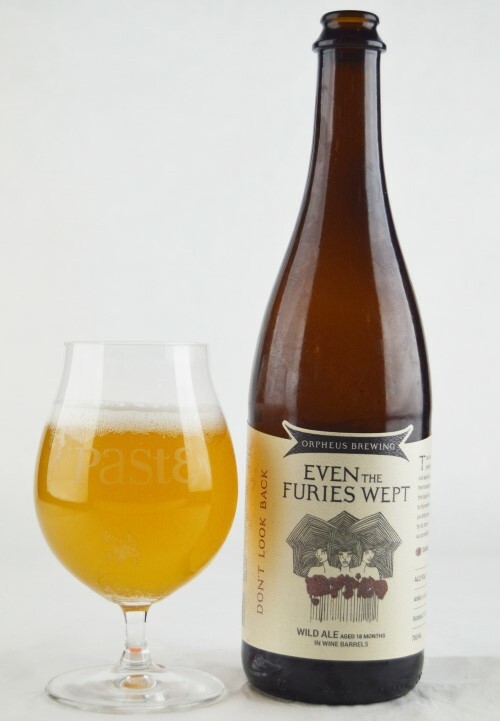 This one, a saison reimagining of a beer they previously released as a “Belgian pale ale,” is aged in pinot noir barrels, which impart a lot of oak but not a ton of the red fruitiness you’d probably expect. Instead, it’s moderately funky, with crisp malt and an earthy character that blends well with dry-hopped aromatics of grass, resin and lemon citrus. One of the tasters dubbed it “New American Saison,” writing “Funky nose and great oak character. Makes me want a thick pork chop.” Breakside deftly balances three major players of funk, oak and hops in a triptych of harmony. The verdict: Brew Gentlemen, who shot onto our radars by producing our #2 IPA out of a whopping 247 last summer, have introduced their “Mise en Rose” series, which are all barrel-aged farmhouse ales. This first entry in the series is a saison aged in white wine barrels with both brett and lacto, and the results are a joy. Funky, slightly barnyard aromatics give way to lots of oak and white wine/citrus, and a bit of herbal perfume. Tartness is moderate but gentle, with no harshness. Flavors offer a good mix of judicious oaky woodiness, citrus and a nice apricot-like stone fruit note. If Brew Gentlemen is able to make all of their future Mise en Rose entries on the same level as this one, it will soon be more than IPAs making their way across the country as trade bait. The verdict: The one, the only, it’s Saison Dupont. 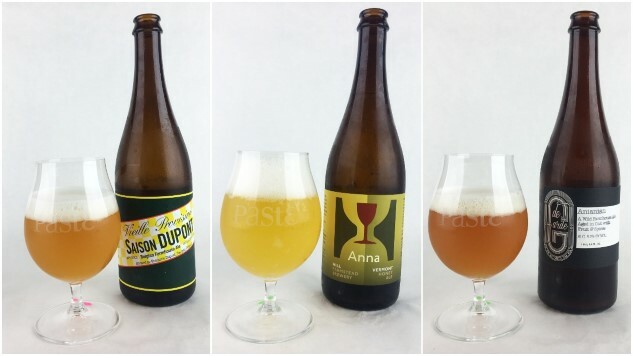 We were all extremely curious how the world’s most famous Belgian saison—really the style-definer in the eyes of most craft beer geeks—would fare in this kind of blind tasting setting, and we’re happy to report that Dupont passed with flying colors. 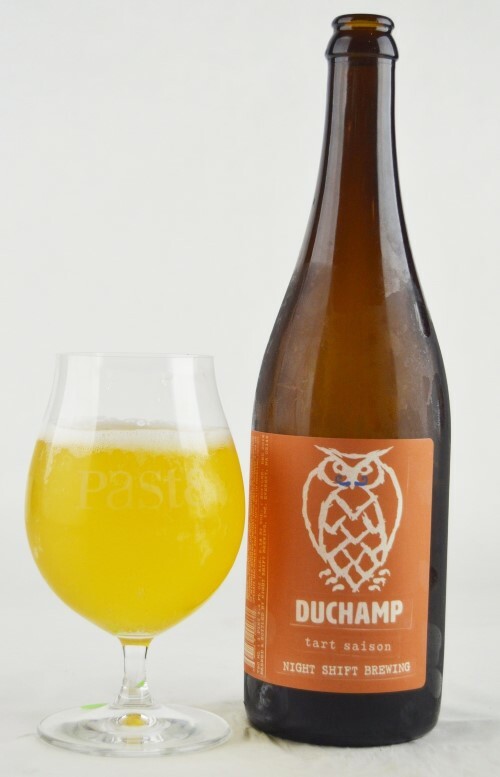 It’s probably not surprising to say that there’s no mistaking this beer for any other beer style, because when most of us say “tastes like a saison,” we more or less mean “tastes like Saison Dupont.” Prickly, voluminous carbonation is a clear indicator of its Belgian origins, while the aroma gives us wafts of perfumey floral hops, slight banana esters, peppery spice and fresh cut grass. The malt backbone is clean as a whistle, with a finish that is quite dry and palate cleansing—as soon as you finish one sip, you’re ready for the next. It’s the quintessential example of classical saison for a reason to this day. The verdict: Credit to the couple of tasters at the table on this day who said there was something about this beer that reminded them on some level of an oud bruin, despite the lighter color—imagine their surprise in discovering that “oude” was indeed in the name. 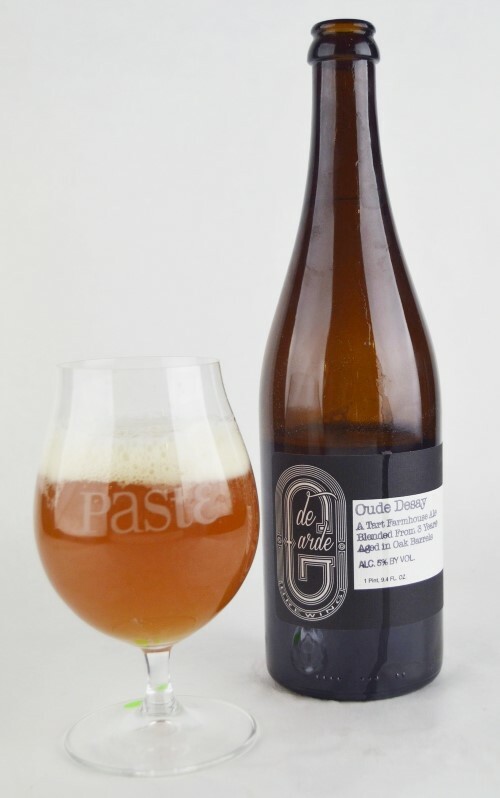 In reality, though, Oude Desay is a blend of three different years of oak barrel and oak tank-matured saison, and that imparts as much complexity as you would expect. This beer is very fruit forward—citrus and white grape, but also a strain of more unusual, red fruitiness, almost cherry or currant-like in nature that makes it quite unique. We also appreciate the malt character here—despite the fruit, and a significant charge of tartness, you never quite lose track of a grainy, rustic malt backbone. Totally blind, we would almost certainly have speculated that this was wine barrel aged, perhaps in red wine barrels, which would explain its unusual dark side. As is, we’re simply impressed by the expenditure of resources in combining three different vintages to create a superlative tart, wood-aged saison. The verdict: Nashville’s Yazoo is a dark horse in these sorts of tastings who have surprised us a couple times in the past with really excellent sour offerings. 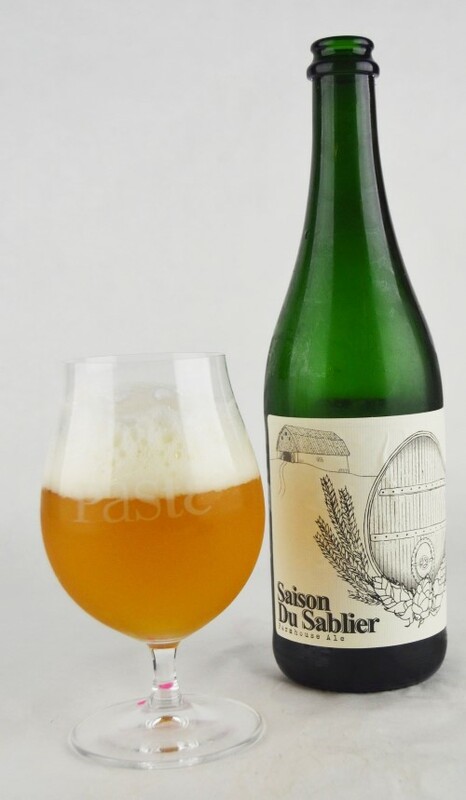 Their Saison de Bois is, at heart, a very classic French saison that was then tucked away in oak puncheons for half a year. It emerges with a beautifully funky (and fresh) profile on the nose—lots of lemongrass, stone fruit and perhaps melon, along with some more barnyard qualities, but it leans in the direction of fruit overall. The wood isn’t too expressive, but the beer has a very pleasant, creamy texture, perhaps owing to the fact that there were some oats in the mash. 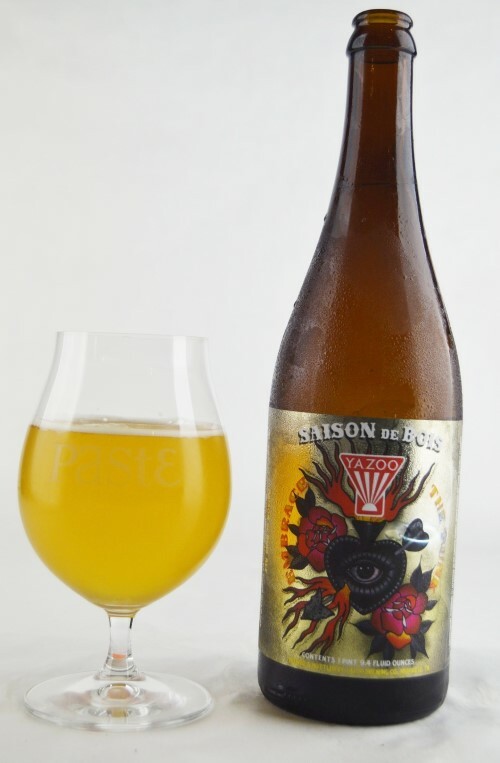 From one score sheet: “Balanced tartness and yummy barnyard notes.” Yes, only in a style like saison do you see tasters write the likes of “yummy barnyard” as an average tasting note. Nevertheless, it’s hard not to be impressed by how gentle the acidity is here, and how inherently drinkable it is as a result. Good stuff, coming out of Nashville. The verdict: We imagine that Jackie O’s is still probably coming down of the euphoria of coming in at #2 in our blind tasting of 144 barrel-aged imperial stouts back in February, but now it’s time to clear some more space on the mantle. This Ohio brewpub, long a favorite for collecting medals at competitions around the country, is making some seriously impressive sour beers these days. This one is bright, authoritatively tart and citrus-forward, basking in flavors of sweet Meyer lemon and exotic spice. Pillowy soft texture and plenty of carbonation enhance a backbone of bready, doughy malt, while a dry finish encourages each sip. 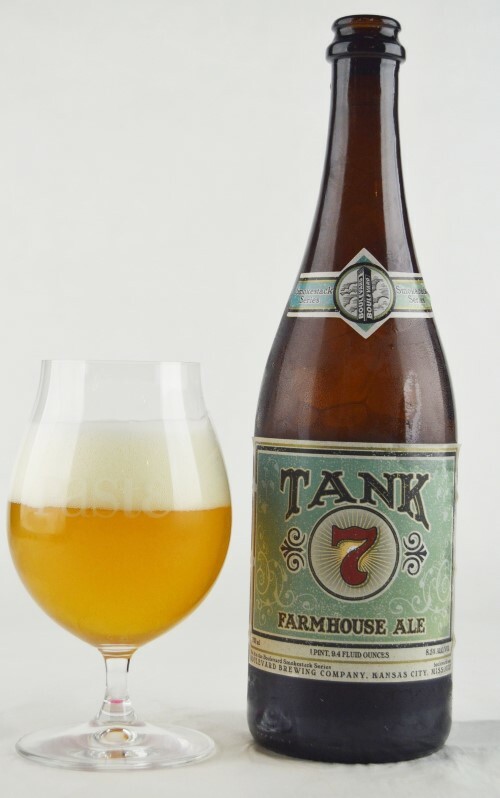 From one score sheet: “Great mouthfeel on a totally refreshing beer. Love the citrus/hayloft aroma.” The brewery’s own description is spot on for this one: “A radiant saison full of crisp energy.” Truer words never spoken—especially in marketing copy. 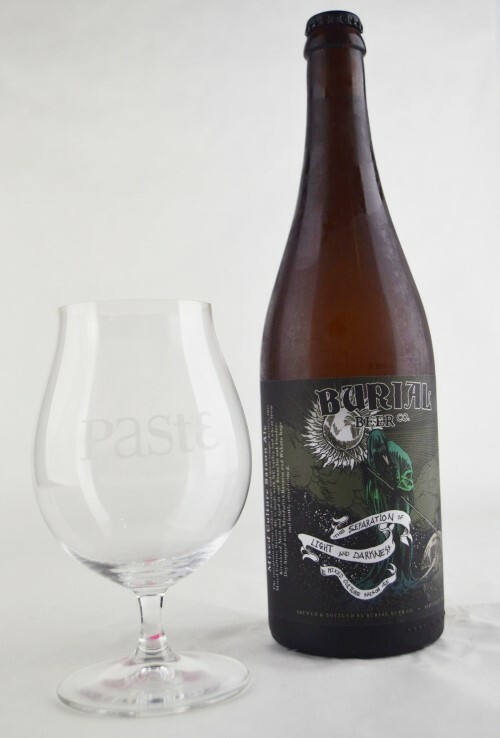 The verdict: We’ve known for a while now that eventually, Burial was going to win one of these tastings. Their batting average is almost always in the top tier; they’ve just been waiting for exactly the right category to spring something like this on us. If you haven’t had much of their beer, you may think of the brewery as something of an IPA factory, given that they seemingly have a new IPA every two weeks, or perhaps as the makers of Skillet Donut Stout, but there’s one other style that this popular Asheville destination produces in abundance, and that’s saison. Burial has made a staggering number of different saisons in the last few years, of every conceivable substyle. This one, Separation of Light and Darkness, is a showpiece for both their brettanomyces and lactobacillus mixed culture as well as their skill with using hops as a finishing touch. Moderately tart, it’s quickly clear that this is a brett beer as well, as it puts forth a telltale funk that is earthy and almost slightly leathery. 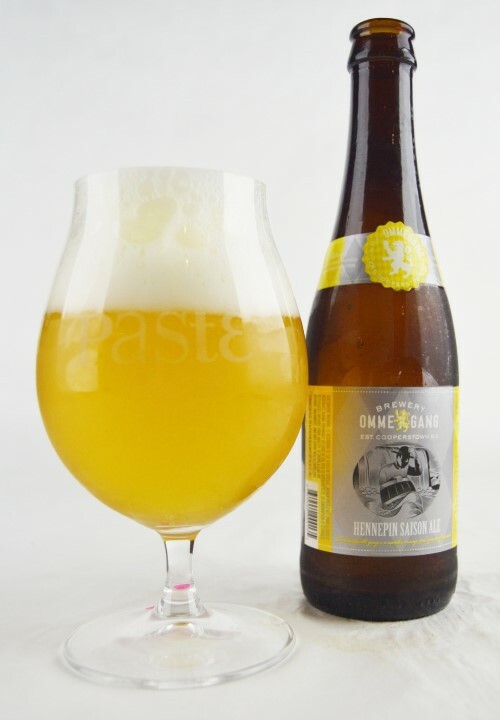 Of course, you’d really have to be searching to find either of those, because sweet-blooming citrus is the first thing you’ll get on the nose, which follows through onto the palate. Says one score sheet: “Amazing citrus aroma, and perfect acidity.” From another: “Funky, tart, citrus, peppery, wow.” From one more: “Just a clean, bright, hoppy, perfect saison.” And because someone will surely ask why the photographer chose to shoot only this one before pouring the beer, I can only say that your guess is as good as mine. So there you have it. 116 saisons, come and gone, with Asheville, NC leading the way. Next up on the Paste docket, we’ll turn up the intensity of tartness and dive into some truly sour American wild ales. Check back in July—lord only knows how many we’ll receive this time. Jim Vorel is a Paste Magazine staff writer and resident beer guru. You can follow him on Twitter.